We help smart leaders improve communication and culture. “The single biggest problem in communication is the illusion that it has taken place.” - George Bernard Shaw. According to the Society for Human Resource Management (SHRM), every time a company replaces a salaried employee, it costs the business an average of 6 to 9 months’ that salary. This is painful and costly for every stakeholder in your business. 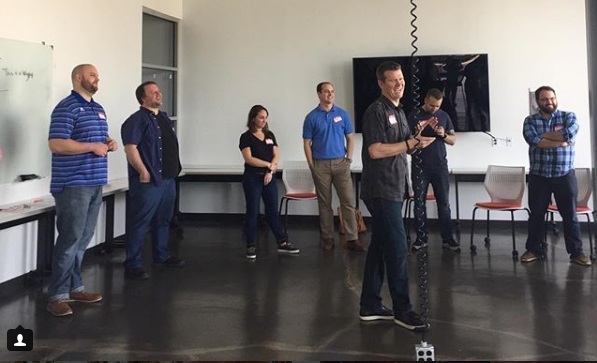 We'll get your team laughing and working together to help reduce employee churn and to improve communication. High turnover rates impact company culture, productivity, engagement, and overhead. 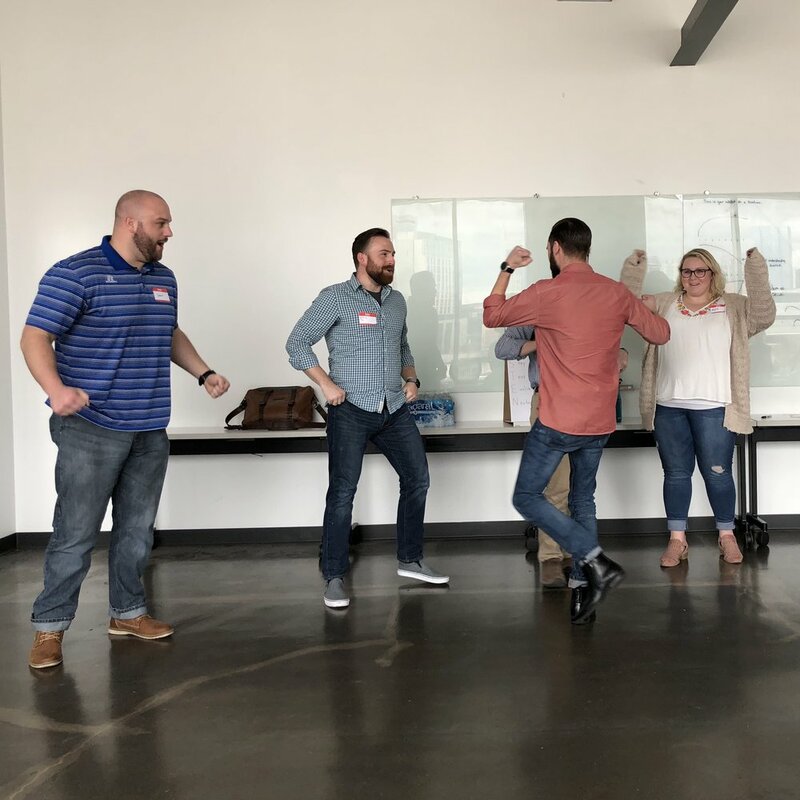 The Leading with Acceptance Workshop offers teams a chance to let down their hair and work with one another to learn about acceptance, creativity, trust, spontaneity, and public speaking. 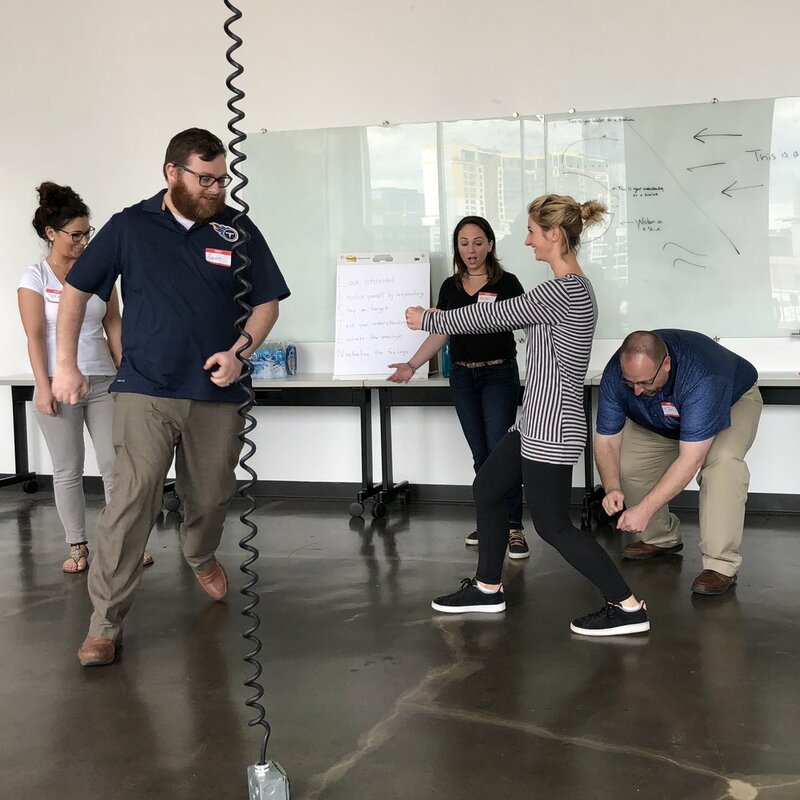 Futureforth founder, Dave Delaney, will provide your staff with a proven way to take the fundamentals of improv and apply them to your business. Sounds great, right? The most profitable companies retain talent, produce top-quality work, and have happy, empowered people. Great companies have stellar management who lead solid teams. And the best teams know how to listen effectively, overcome creative blocks, and negotiate efficiently. They are master communicators and collaborators. Expect a rejuvenated, energized, happier team when together. Let’s do this! This workshop is designed for groups of up to 30 people. Larger departments and companies choose to book more than one workshop to reach entire teams. We are prepared to travel to your place of business to meet your needs. - Chris A. Humphrey, Category Development Manager. - Jason Moore, CEO, Stratasan. Communication Reboot was a fun experience that taught me lessons that I'll use in my professional and personal life. I loved how Dave related the exercises to what our company does. Great team activity that helps you feel more comfortable with your coworkers. - Jackie DeGroat, Customer Success Manager. - Chris Graffagnino, Web Developer. - Dave Sellers, Data Specialist. We'll get your team connecting, LISTENING and laughing like never before!